Closeout. 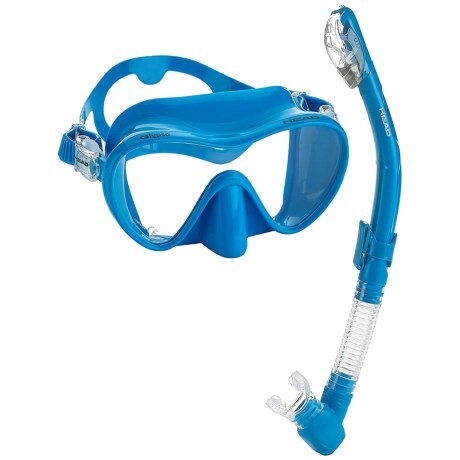 Stay underwater as long as you like with the Head Calypso dive mask and dry snorkel set. Soft silicone creates a comfortable seal while you explore, and the snorkel stays dry even when submerged. Available Colors: BLACK, BLUE. Sizes: O/S.